Engine and equipment display and control with a wide range of supporting products for complete control solutions. Simple interface with easy-to-read displays and large tactile feedback buttons. Integrated engine emissions monitoring and control for simple and seamless operation. Application engineers to assist with control system design and technicians for after sales support. Applying the power of the microprocessor to engine and equipment display, monitoring and control.  Rugged, simple-to-operate technology for today's sophisticated engines and equipment backed by industry expertise and a commitment to customer service. J1939 CANbus display and control solutions. Complete engine display and alarms for mechanical and J1939 engines in a compact, 4" diameter gauge that installs into a 2" hole. The ruggedized, waterproof unit with watertight, plug and play connectors comes with an easy-to-read OLED display that provides excellent visibility in all lighting conditions and performance to -40°F/ -40°C. 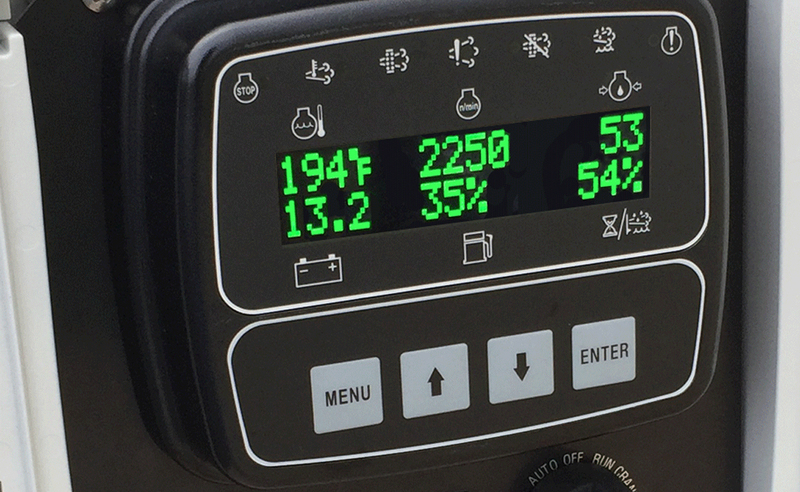 All of the functions and toughness of the MVP SERIES with a larger display, sophisticated throttle options, a full portfolio of flexible inputs and outputs and powerful communication options. The C SERIES excels at integrating engine and equipment monitoring and control in a single, powerful controller with the ability to seamlessly integrate with remote monitoring devices and systems including telemetry, PLCs, and SCADA. PLC power with full graphical display that is purpose specific to engine and equipment monitoring and control. 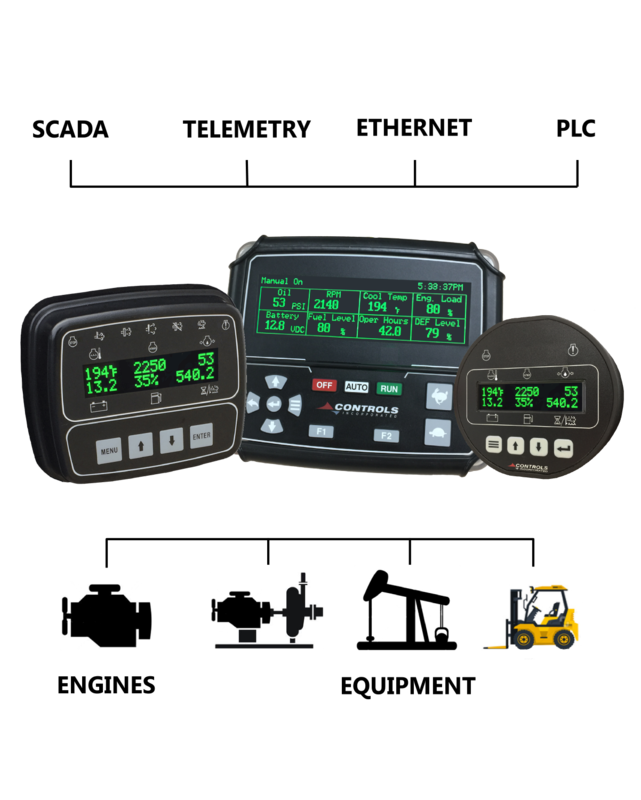 Out of the box, the ruggedized, water tight unit provides complete engine display, monitoring and a broad range of advanced control options. 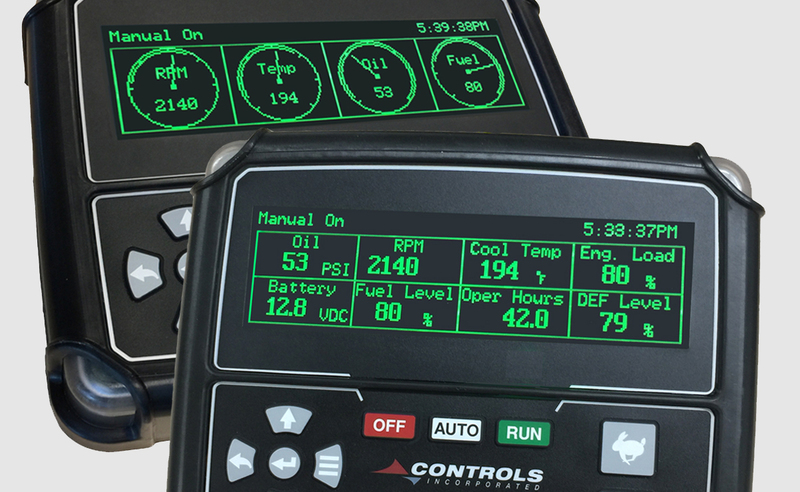 Easy-to-configure I/O is available to monitor and control other engine and equipment sensors, devices and components for a single system controller. 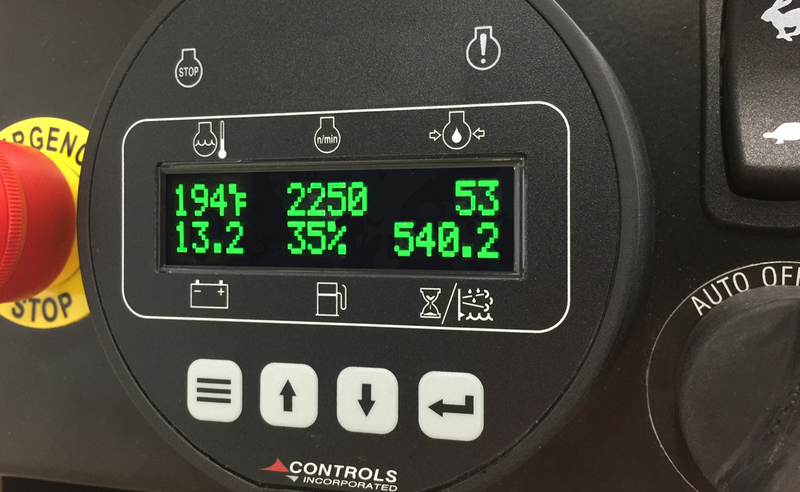 The large OLED display is configurable to provide specific information for your equipment or application. CANbus, Modbus and Ethernet communications provides seamless integration with other components, hardware or systems. Family of rugged, water tight modules that translate real world physical parameters and signals to J1939 or utilize J1939 commands to control relays or output signals for physical control. Can be used independently or combined with the Controls Inc MVP, C and XL SERIES controllers. 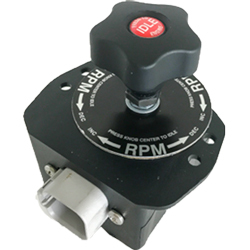 Independent throttle knob for J1939 engines with the look and feel of a traditional throttle knob and simple speed configuration selections. 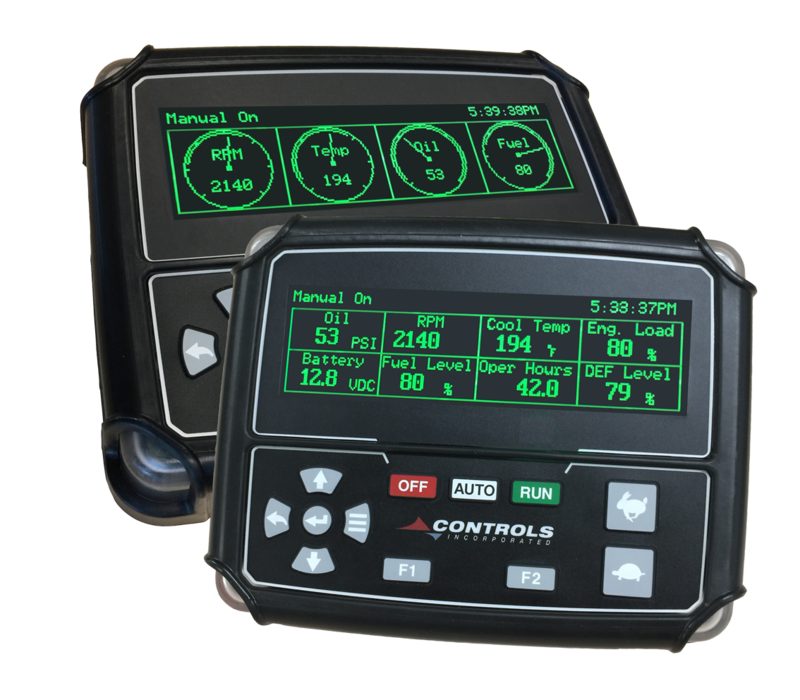 Available with configurable inputs and logic control for qualified throttle operation. Water tight connector for plug and play installation. Display pressures, levels, flow rates, temperature or any other parameter from a J1939 or 4-20mA source. These ruggedized, water tight displays with easy-to-configure screens show up to two J1939 parameters (MSG SERIES) or six J1939 parametres (DSG Series) on a single screen. Configurable alarms and output logic signals are available. A wide range of standard controls panels are available based on the MVP, C and XL SERIES controllers. Panels are available for all engine makes, both mechanical and J1939 engines and all emission tiers including final tier 4. Controls Inc also specializes in equipment specific panels and dashes to provide modular, plug and play solutions with the required operation and components. Provide your equipment or system with process monitoring and control operation based on pressure, level, temperature, flow rate or other parameter. Solutions include turnkey, integrated controllers for plug and play installation. 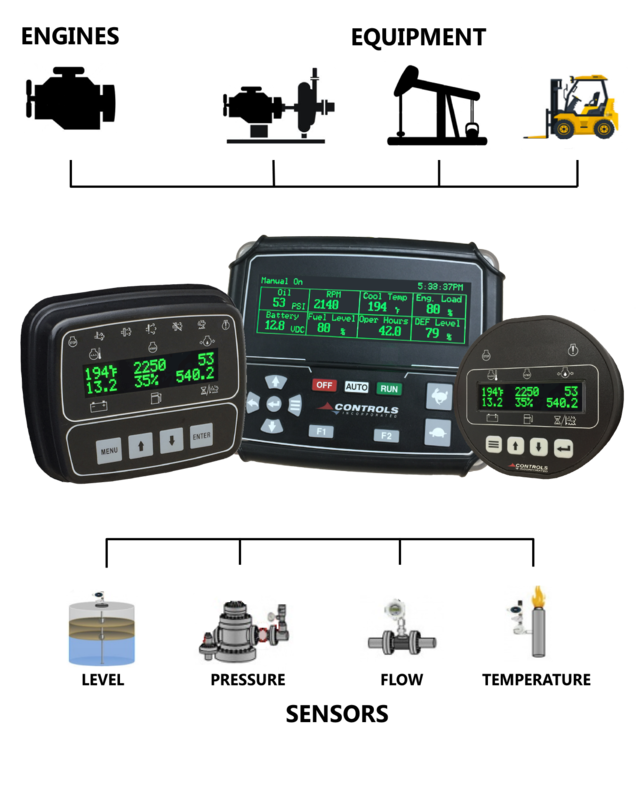 Equipment and application specific controllers available. Let your equipment communicate. 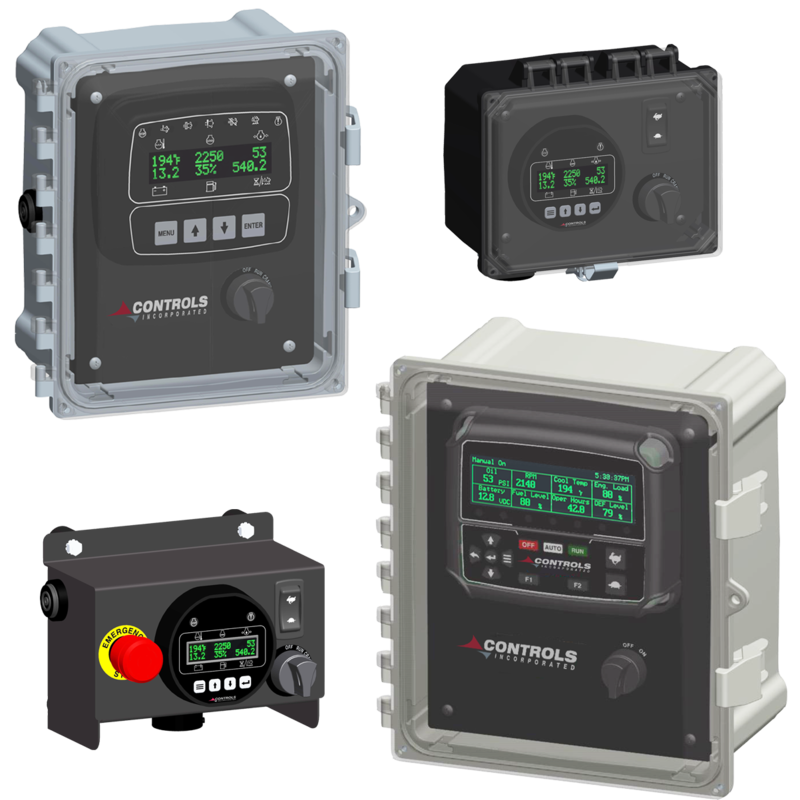 Controls Inc products are designed for seamless integration and two-way communications with external devices and systems including telemetry, SCADA and PLCs. Solutions include engine and equipment controllers and panels with integrated telemetry or wireless communications.